In celebration of Earth Day, we will be hosting a beach cleanup on Sunday, April 27th, 9am-12pm. Bring your friends or family down to Mission Bay Aquatic Center where we will have all the supplies needed for you to help in our effort to keep our beach and bay areas clean and beautiful for all to enjoy. 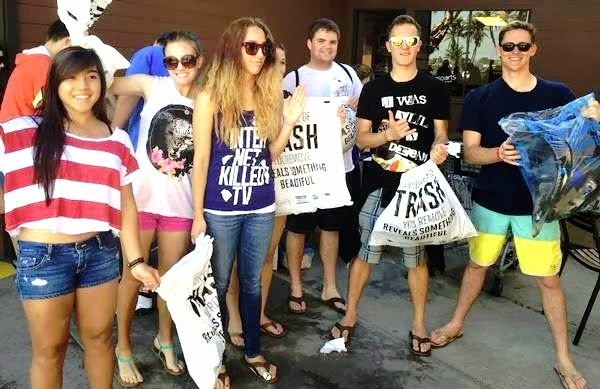 At our fall beach cleanup we had a turnout of 90 volunteers and collected 87 pounds of trash!